You never know when you might run into a problem while cycling. That’s why it is important that you have a place to store your cycling essentials like tubes, inflators, tools, or even some cash and your I.D. 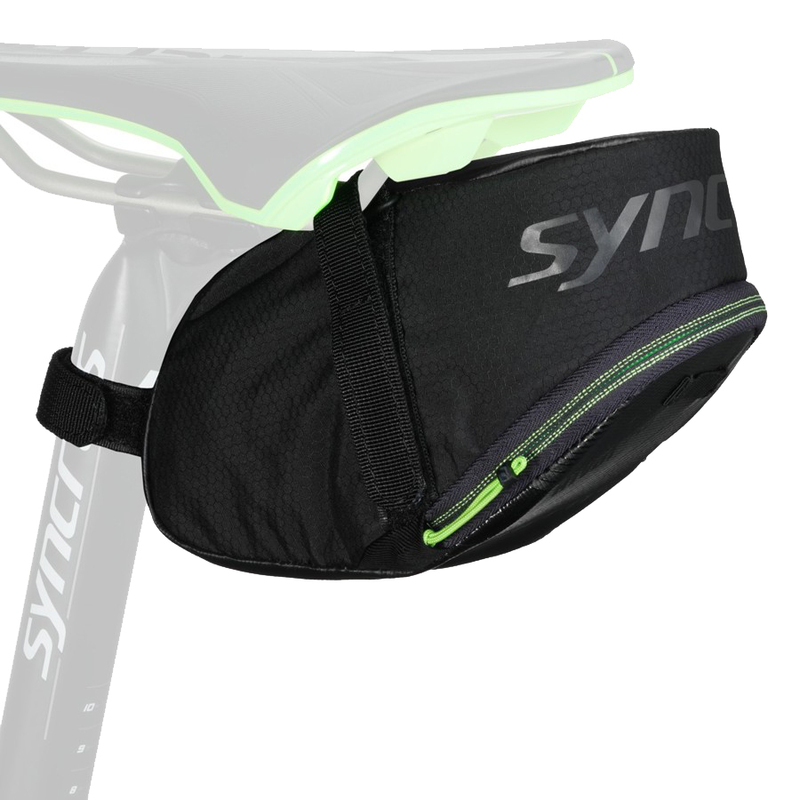 The Syncros High Volume Saddle Bag is just the what you need to carry these items and more. This large .75 litre capacity bag utilizes velcro compression straps to tuck neatly under the saddle where it stays out of the until you need it. Interior elastic loops help to secure tools, while a TPR textured seatpost strap keeps the bag from moving around. Interior elastic loops secures tools or other items. .75l capacity gives you plenty of storage space. 80g weight is nice and light. Twice I lost everything in my bag: multitool, CO2 cartridge, tire levers, and a spare tire. Both times I ensure the bag was closed all the way before my ride. This bag will end up costing you three times the amount due to replacing lost items. Plenty of room for 29er tube and some tools. Secure fixings and zip, and a perfect match for my Scott Scale.